Google is a massive tool made by humans and up until recently, all the programming behind the search engine was man-made as well. Programmers created the algorithms Google has used in recent years to rank websites and web pages, by basing the algorithms off “if-then” situations. There are then rules for the algorithm to follow so that it can not only understand direct searches – such as “tennis shoes” – but also make more broad-match deductions to rank web entities, as well. For example, these algorithms make it possible to type in “fly kicks” or “sneakers” and Nike Running Shoes will appear in the search results. Today, most people turn to Google when they want an answer to their questions. There are millions are searches each day, so as you can imagine, there are even now new questions that the engine has never seen before. In fact, the company has said that 15% of questions on any given day are new to the search engine. Thus, this precipitated a need for google to make their search engine “smarter” to lead the searcher to an answer they really want. This is where RankBrain comes in. Google uses machine learning to enable and power RankBrain. Machine learning is the ability for computers to make decisions without being exactly told how to do so. RankBrain uses past experience to make a new decision. , ConsequentlyRankBrain assists Google in these new “unknown searches” by understanding what is being asked, then telling the algorithm what they’re really looking to find. They work hand-in-hand. RankBrain was confirmed as a part of Google in October of 2015. RankBrain is Google’s name for a machine-learning artificial intelligence system that is used to help process search results of common and bizarre questions. Machine learning is where the computer can teach itself how to do a task, rather than being taught step-by-step by humans or a detailed program. True artificial intelligence is the possibility for a computer to be as smart as a human being, in the sense of being able to build on past experiences and making new connections to answer questions. Artificial Intelligence is very synonymous with machine learning. These terms are commonly used interchangeably. 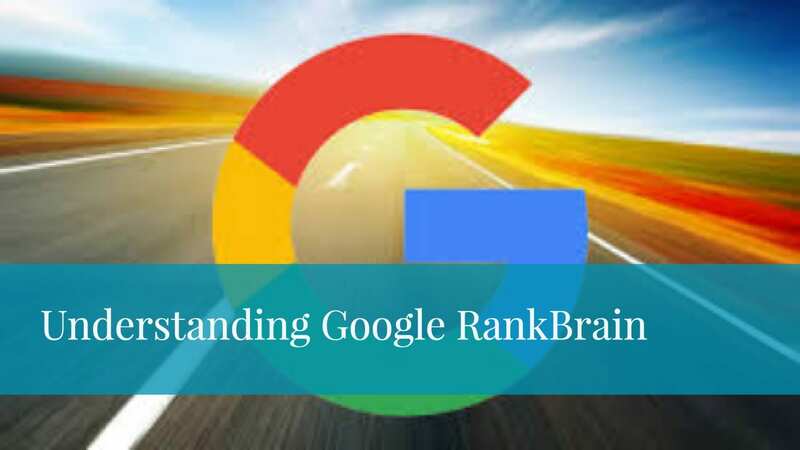 Is RankBrain the new way Google ranks search results? Not by itself… RankBrain is simply a part of Google’s search algorithm. It is merely a computer program that is used to sort through BILLIONS of results, to slim down the results that are most relevant to a specific search. What is the name of Google’s search algorithm? It’s called “Hummingbird”. Hummingbird is the overall search algorithm. However, just like a car has a primary engine, it also has many more aspects to make it operate at it’s full potential. Therefore, RankBrain is one of the aspects that work alongside with Hummingbird. Hummingbird also has other similar aspects in the SEO space, such as Panda, Penguin, and PayDay, which are designed to fight spam. There is also Pigeon, which is designed to improve local results. You also have Top Heavy, which is designed to demote ad-heavy pages. Google’s mobile algorithm – Mobile-friendly – is designed to reward mobile-friendly pages. Finally, Pirate is designed to fight copyright infringement. What are the signals that Google uses for ranking? “Signals” help Google to determine how to rank webpages. For instance, it will read the words on the page, so words are a signal. If some words are in bold, this might be another signal weighing in on the ranking determination. Pages being noted as being mobile-friendly, is also a signal. All of these signals are processed by parts of the Hummingbird to figure out which pages to show in response to a particular search. There are major signals and sub-ranking signals. Google has claimed having more than 200 major ranking signals, but along with those, there can be up to 10,000 sub-signals. What are the first and second most important signals? Google has just recently revealed that the first and second most important signals for ranking are links and content. Yes, Google has been able to find pages beyond the exact-match terms for years, but stemming allowed Google to get smarter. Google also got synonym smarts. For example, if you searched sneaker, it would know that you also meant running shoes. It also has conceptual smarts. It understands that there are pages about “Apple” the technology company versus “apple” the fruit. Yes. Google is very conservative with what goes into their ranking system. It only does big launches when it is very confident in the product being launched. RankBrain is a huge change, considering it’s believed to be the third most important signal. Google has said there was a gradual rollout of RankBrain in early 2015, but it has been fully live and global for about a year now.